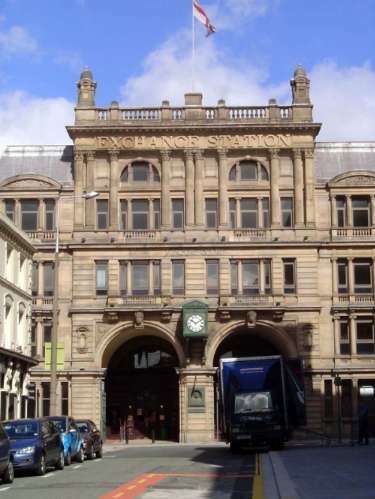 The nearby Exchange Railway station, the terminus of the Lancashire and Yorkshire Railway. This station, from 1888, was the second on the site. It closed in 1977.